In every taxidermy competition, there are extraordinary entries which display a great deal of creativity and artistic appeal. Yet often these pieces, for one reason or another, go unrecognized with awards due to the nature of the rules or score sheets. 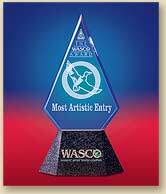 It is for this reason that we have created the WASCO Award for the Most Artistic Entry. Along with this award goes a unique acrylic engraved trophy and a merchandise gift certificate. It does not matter which company's supplies, mannikins, or paints are used in the piece. The winning entry will be chosen by all of the judges from all taxidermy entries in the competition. All judges will pick their top choices from the competition according to the criteria listed below. If the judges wish, they may discuss their choices with each other, pointing out the appeal they find in their selections. After discussion, all judges will vote for the single entry to receive the WASCO Award for the Most Artistic Entry. 1. Exhibition of Taxidermy: The entry should tastefully display both the subject as well as the taxidermy profession in a favorable light. The taxidermy should be of good competition caliber, without any obvious flaws to the casual observer. The close scrutiny of a judge's flashlight should not be as important as the overall impression of the piece from a normal viewing distance. The main requirement is that the animal portrayed looks "alive" to the viewer. 2. Creativity: Artists who try something new or difficult should be rewarded for their efforts. The concept of the piece should not copy previous winner's ideas. Original ideas, successfully executed, should be given high consideration for this award. 3. Artistic Merit: The entry should be judged as a three-dimensional art piece, just like a painting or fine sculpture. Basic art concepts, such as composition, color, dynamic impact, contrast, texture, negative and positive space, and general artistic appeal should be carefully considered. 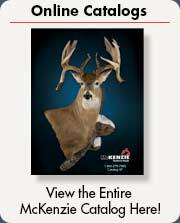 In order to allow the most taxidermists to compete for this award, a winning state entry shall not be allowed to win a second WASCO Award at another state competition. However, a winning state entry will be eligible to win a second WASCO Award at a regional or national competition. The WASCO Award (some with photos of the winning entries), winners are listed below by year. 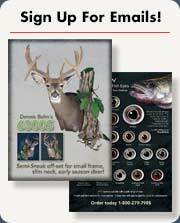 Read about the birth of the WASCO Award written by Ken Edwards, author of taxidermy blog, Ken's Corner.